The immediate density of Kairos: Chronos is striking. Whereas instrumental music normally relies on forward motion and significant musical transitions — layering different parts as the song goes on, altering their course, and then perhaps disassembling them — High Wolf’s compositions are much more dimensional. He does not just layer one part; he layers many parts: everything from the bottom register’s bass-y synth, to the percussive section’s plethora of ever-changing electronic and real beats, to the upper register’s ethereal and stringy synths and distorted electric guitar parts. In doing so, he creates a lush wall of sound that beeps, shimmers, and grooves, moving inward and outward, as well as back and forth. High Wolf’s fluid body of instrumentation is punctuated by unique and contrasting sounds, both electronic and organic, that work with and against each other within the album’s deliberate composition. What seems most distinctive in Kairos: Chronos‘ bed of sound is the raw, tribal percussion that runs throughout the album’s tracks. Natural, resonant, and almost primitive, this beat grounds the album, while Kairos: Chronos‘ atmospheric electronic parts — cascading scales, beds of lush synths, and the occasional jangling, dunking, or twanging noise — project it still farther out. 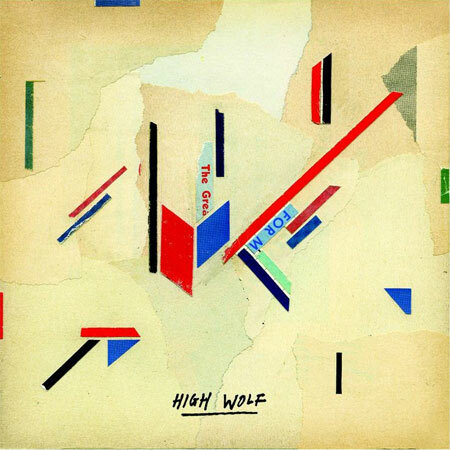 The variety of sounds High Wolf uses on the album create distinct moods from track to track and within tracks, ranging from celebratory to pent-up and finally — at the very end — delicately hopeful.